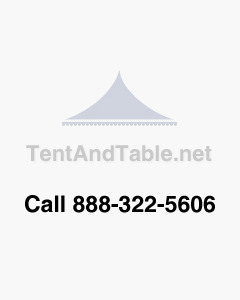 These pole tent leg covers are must-have accessories for your party tent rental company that provide a stunning and elegant at events. These 2 foot wide leg covers encase your pole tent legs on both sides and have clips that attach to your tent to keep them in place for the duration of your event. Constructed from 180g polyester, these tent leg covers extend 7.5 ft high and really add that special touch to your party tent, keeping unsightly tent legs out of view. I was hesitant to buy them initially. But once I got them and used them for a wedding reception, I was really surprised how they changed the entire face of the décor. Decent price, good material and provides perfect elegance to the décor. Definitely recommended. Easy to handle and arrange. The material is really soft and as it is polyester, it becomes quite easy to handle and arrange. Does not tear easily and goes with any party theme. I like the shine that these covers have. I have an entire bunch as it matches one of the themes of my party décor setup. I will definitely get more.